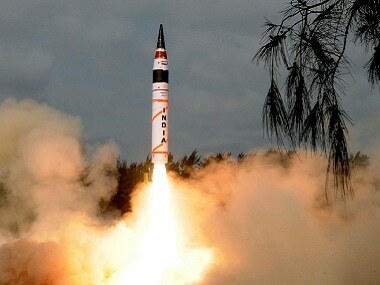 The 1,000-kg payload of Agni-5 – which is what it is designed to carry on its nose – means that it is capable of a wide range of warheads. 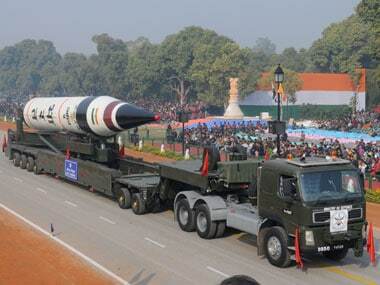 This was the sixth trial of the state-of-the-art Agni-5. 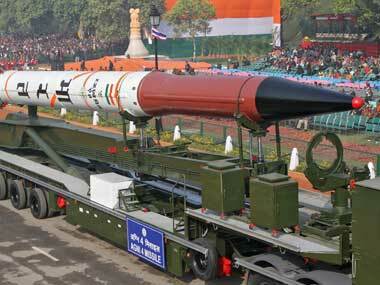 The missile was last tested on 18 January. 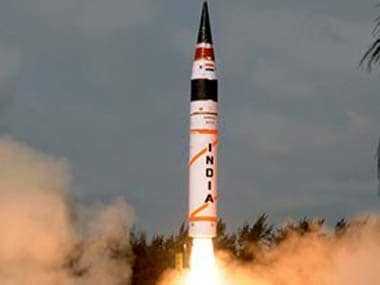 India on Sunday successfully test-fired its indigenously developed nuclear capable long-range ballistic missile Agni-5 with a strike range of 5,000 kilometres from Dr Abdul Kalam Island off the Odisha coast. 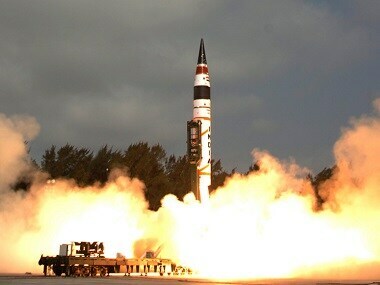 Agni-5, a 5,000-km range intercontinental ballistic missile is widely regarded as a strategic missile targeted at China as it can reach almost all parts of the Chinese mainland. Project director of Agni 5 missile programme RK Gupta has been moved out following which he has complained to the defence ministry alleging victimisation. 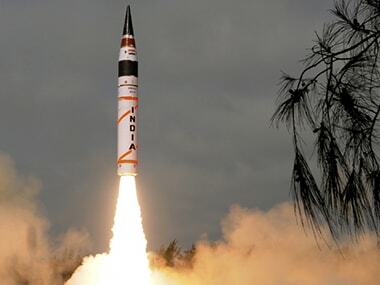 "The three stage, solid propellant missile was test-fired from a mobile launcher from the launch complex-4 of the Integrated Test Range (ITR) at about 8.06 hours," ITR Director M V K V Prasad said. 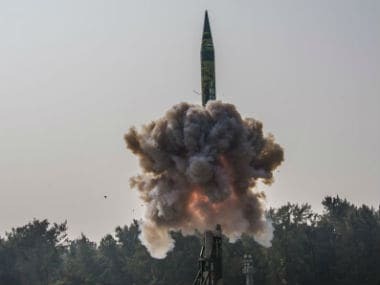 The three stage, solid propellant "missile was test-fired from a mobile launcher from the launch complex-4 of the Integrated Test Range (ITR) at about 8.06 hours," ITR Director M V K V Prasad said. the vessel will be launched for sea trials within a month or two and it will be firing the indigenous BO-5 missiles, which have a range of around 700 km.